Painting the corners, one pitch at a time. I used to be the worst kind of person in the world. 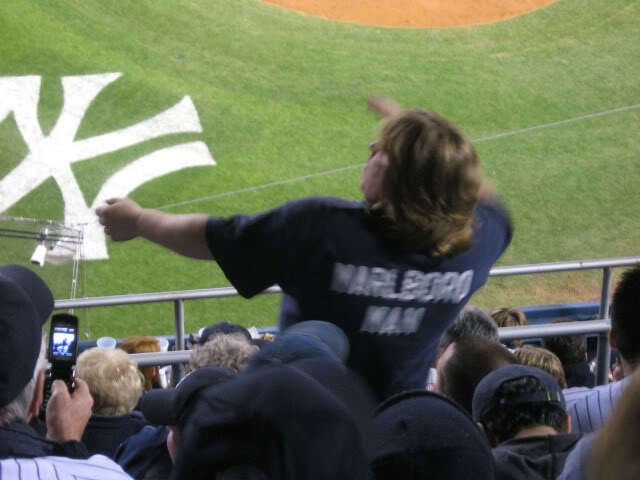 A Yankees fan that didn't live in New York. As lewd and annoying as they might be, you can't blame a New Yorker for being a Yankees fan -- let's face it, their other option is the Mets. But if you don't live in New York, and your family isn't from there, it's simple douchebaggery that makes a person cheer for that team. But I did. It all started because the Twins broke my heart by trading Rick Aguilera -- twice -- and fell into self-inflicted mediocrity for my entire teenage years. I swore them off about the same time I decided that I was going to move to New York and attend NYU. Down went the Twins paraphernalia and up went a DJ Turn 2 poster (Derek Jeter turning a double-play, in layman's terms). I rocked a navy Mariano Rivera shirsey and Yankees cap with pride and buried my head in my hands with shame when some stupid expansion team from Arizona knocked my new boys out in the World Series. Right before I went to college, in 2003, I got a dream gig: working freelance for the YES Network on a visit to the Metrodome. I got to be a production assistant/runner for their videographers, hanging out on the field during batting practice, standing there for pregame interviews and running tapes up to the truck; hanging out in the concourse during the game; and going into the visitor's clubhouse for the postgame interviews. I hung out with my heroes: Alfonso Soriano, Jorge Posada, Andy Pettite, and Roger Clemens. I distinctly remember telling Soriano that I wanted to see him a hit a home-run and then he blasted a grand slam the next inning. It was amazing; the Yankees swept the series. Then came my salvation -- high school graduation and my predestined move to the heart of Yankeeland. I packed away my #42 shirsey and hopped a plane to New York, never looking back. Surrounded by own kind. I've been here 10 years and things never should have been better. Except I can't stand the Yankees anymore. It's nothing about the team. 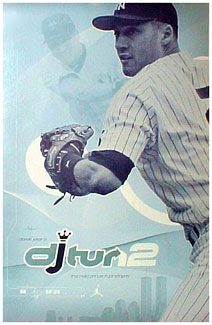 I still admire Derek Jeter and I think Mo is the only person I'll consider a better closer than my beloved Rick Aguilera. 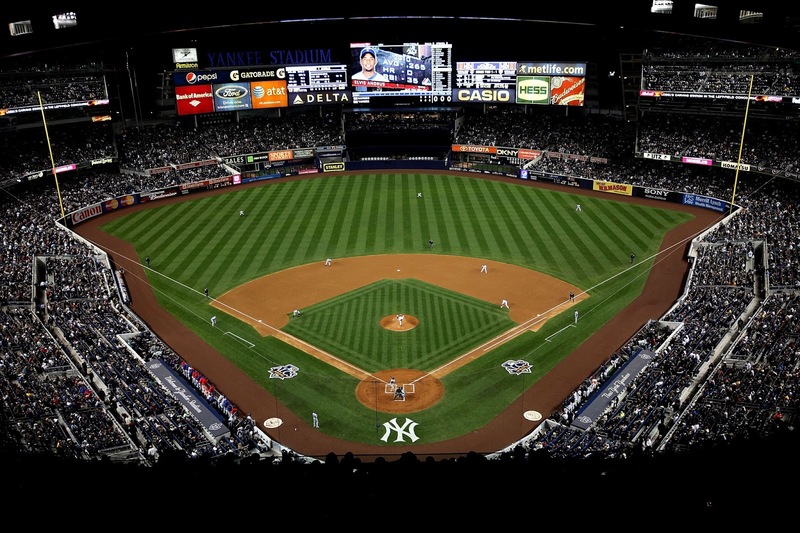 It's all about living in New York and being surrounded by Yankees fans. 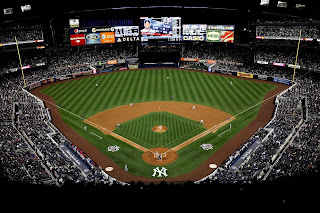 The first time my family came to visit me in college, we went to Yankee Stadium for a Twins and Yankees game, sitting in the upper right field deck. My brother, a naive 11 years old at the time, wore a Johan Santana jersey bravely into the middle of enemy territory. By the 6th inning they were slinging curses and slurs at my 11-year old brother: "Santana you f****t" -- "Turn around kid, can't you f*****g hear us?" -- "What's a'matter, busy crying you f*****g p***y?". That was probably the end of my love of the Yankees. I couldn't be part of that. Later that year I remember the floor of my freshman dorm shaking from everyone jumping up and down when the Yankees beat the Red Sox on Aaron Boone's historic shot. My Rivera shirsey is collecting dust in my closet. I started a Twins blog (which has since become somewhat defunct), subscribed to MLB extra-innings to catch my favorite team out of market, and taken every opportunity to see the Twins when they make it out east (this time sporting a custom-made Rick Aguilera Twins jersey). Now it's my turn to take abuse. It becomes tough to watch your team constantly and heartbreakingly lose whenever they come to town. I've grown so accustomed to hearing Sinatra's "New York, New York" blaring over the loudspeakers while I lower my head and take the long walk back to the 6 train. The toughest were Joe Nathan's 2009 game-tying homer to A-Rod in the 9th leading to our loss in extras -- and the 2010 team in Game 3 when I got beer poured on my head and got a "Christina Aguilera" chant started against me simply for sitting there and trying to ignore them. Let's face it -- the Yankees don't consider this a rivalry. Not even close. I've seen headlines in the post where their wonderful scribes describe the Twins as a warm cleansing bath to dispel their previous losing streak -- a break in the season where they didn't need to worry about playing quality baseball to win. You'd be hard-pressed to find a Yankees fan in New York who knows anything about the team other than that Joe Mauer missed his opportunity to join a contender, and Justin Morneau robbed Derek Jeter of his rightful MVP award. I remember one game where a Yankees fan asked me why Wisconsin needed two teams. He was genuinely under the impression that Minnesota was the capitol of Wisconsin and shocked when I gave him a quick geography lesson. THEY DON'T EVEN KNOW YOU EXIST. And we haven't really given them reason to notice. But in stark contrast to the disappointment, and the heartache, and the wondering why we seem to choke whenever we see pinstripes, are the few times when we win. And I've seen them. And it's not as far-fetched these days as it once seemed. Last year we took two of four in New York. A series split. But the best moment came three years ago. We sat in the upper deck behind home plate and we were losing as always. But somehow, in the 8th, we loaded the bases and threatened to take the lead. The Yankees were scared enough that the Twins might win, that they brought in Rivera, #42, the greatest closer in baseball history, in the 8th inning to try to shut us down. Enter Sandman blared over the speakers -- the super fan lovingly know as the "Marlboro Man" started head banging and air guitaring in time to the music and the excitement of all the Yankees fans trusting in their beloved closer was enough to slightly dampen my excitement that Jim Thome was due up. It wasn't Thome that was the hero though. He walked in a run with the bases loaded, fans everywhere groaning and complaining about awful umpiring. And then Kubel stepped into the batter's box and launched what would be a game-winning grand slam off of the greatest closer in the world. Every fan I could see in Navy or pinstripes was shocked. Silence. More silent than I've ever heard Yankee fans could be. Mo never blows a save. 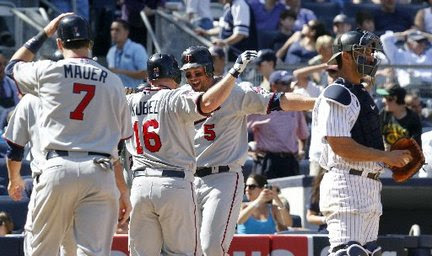 The Yankees never lose to the Twins. But it happened. And I was there. And it will happen again. I walked out of there in my favorite closer's jersey -- Aguilera -- with my head held high and knowing that there's no reason we can't beat those Damn Yankees. I moved to New York City for college to become a filmmaker and have stayed ever since, but my heart will always be in Minnesota, and so will my baseball team.